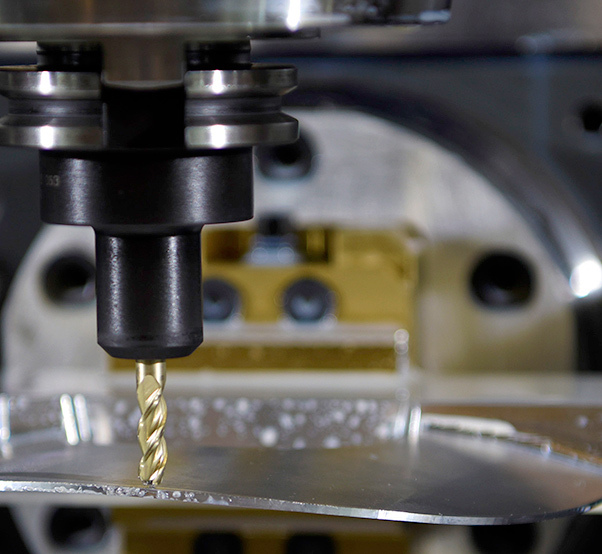 A 5-axis computer numerical control machine mills a piece of metal for an F-35A Lightning II, Feb. 6, 2019 at Luke Air Force Base, Ariz. Metals technology uses this equipment to execute extremely precise work, down to 0.0005 centimeter tolerances. 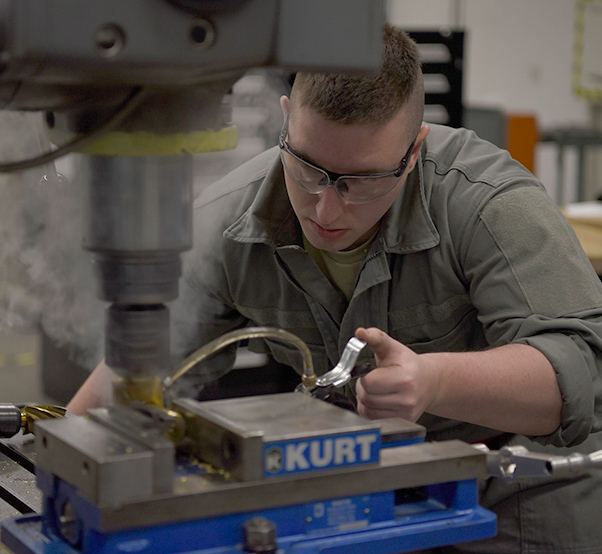 From aircraft parts to specialized tools, the Airmen at the 56th Equipment Maintenance Squadron at Luke Air Force Base, Ariz., aircraft metals technology flight manufacture and fix any asset that comes their way. 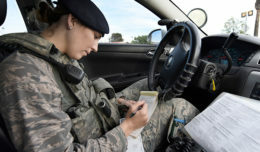 Using disciplined and innovative maintenance approaches, the Airmen support Luke Air Force Base’s 5th generation and legacy aircraft. 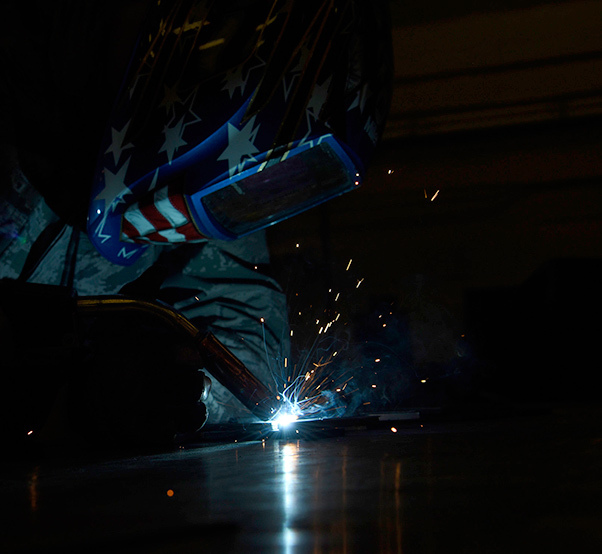 As a team, they provide machining and welding operations for aircraft and support equipment across the base. On average, they complete 15-20 aircraft and 20-30 support equipment jobs per month. Tech Sgt. 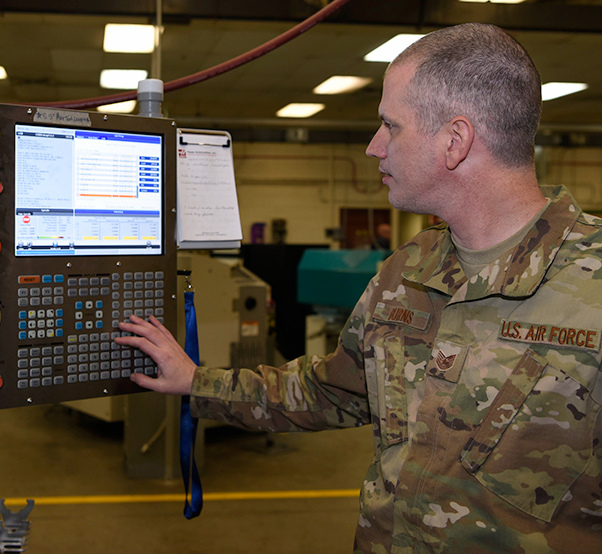 Robert Burns, 56th Equipment Maintenance Squadron aircraft metals technology non-commissioned officer in charge, inputs a command into a 5-axis computer numerical control machine, Feb. 6, 2019 at Luke Air Force Base, Ariz. Metals technology provides machining and welding operations for aircraft and support equipment across the base. 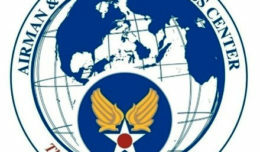 They also work closely with local field service engineers and Lockheed Martin to obtain the proper authorizations to repair and manufacture parts for the F-35A Lightning II. By engineering at the local level rather than waiting on different repair avenues, metals technologists reduce costs, time and resources, for Luke and the Air Force. Airman 1st Class Taylor Frost, 56th Equipment Maintenance Squadron aircraft metals technology apprentice, shaves down an ammunition shell, Feb. 6, 2019 at Luke Air Force Base, Ariz. Airmen assigned to the 56th EMS metals technology shop provide disciplined and innovative maintenance approaches to support the 5th generation and legacy aircraft housed at Luke AFB. Senior Airman Brendon Tinko, a member of 56th Equipment Maintenance Squadron aircraft metals technology, practices gas metal arc welding, Feb. 6, 2019 at Luke Air Force Base, Ariz. Aircraft metals technology specialists are responsible for machining parts and welding parts to keep the wing’s aircraft flying.